Home » Articles » 19. Homesickness? Travel inside! Do you recognize this? You prefer not travelling. If you are gone for a night, you toss and turn in that unfamiliar bed and are glad to get home again. Your favorite icon on your navigation system is “drive home”. These are all signs that you are homesick. Besides that, some people are homesick for “way back when”: when everything was better, quieter, and more normal. Some people don’t feel at home on Earth and long for their home far, far away. Many people with this problem have learned to live with it. They assume that it is a “part of them” and that it’s something that can’t be changed. The good thing is that you now can do something about it, if you’d like to. The MIR-Method works slowly but surely on your inner peace, but also on your inner strength. This means that feelings of insecurity lessen, your self-confidence grows and you are increasingly able to stand up for yourself. Which of the 9 Steps Deal with Homesickness? With steps 1 “Optimize acidity” and 2 “Detox all acidity” you prepare for the other steps by detoxifying and cleansing your body. This is indirectly related to homesickness. With step 3 “Detach father. Detach mother.” you release yourself from your father and mother’s influence. Become aware of how they dealt with trips, with new situations, new people. Everything from your parents that hinders you, you release. Step 4: “Clear meridians”: as far as fears are concerned, especially fear for the unknown, Chinese medicine relates this to the large intestine meridian. Fear and feelings of insecurity belong to the kidney meridian. By stroking step 4, you take the emotions away from these meridians, step by step, with the result that these emotions lessen. Step 5: “Supplement all shortages” results in the supplement of nutrients. Vitamin or mineral deficiencies can literally cause you to feel weaker or to become insecure more quickly. Step 6: “Balance hormone system” is especially for homesickness directed towards the thyroid. When it is imbalanced, people experience feelings of insecurity and anxiety more quickly. The same is true for an imbalance in the pituitary gland, which makes women more sensitive to unexpected events. This is more so just before the onset of menstruation. Step 7: “Fulfill basic needs” is actually the most important step to deal with homesickness. If you are able to increase your feelings of security, certainty and trust, you will become much stronger internally. Step 8: “Optimize Chakras and Aura” helps with homesickness, especially chakra 1. This chakra has a great influence on how welcome you feel on this planet. People who are uncomfortable within themselves often have a disturbed chakra 1. This can already have developed during birth. Step 9: “Clarify mission” indirectly helps with overcoming homesickness. In short, when you feel more secure within yourself, you feel a sense of security everywhere. It doesn’t matter where you are or whom you are with. You feel secure about yourself and strong enough to take care of yourself, to protect yourself or to ask for help in any situation. Those who wanted to leave Earth will notice that Earth has its good sides and that it’s worth staying here! I hope that you become freed from your homesickness and that it becomes possible for you to discover new areas within as well as outside of yourself! Is homesickness a problem for you? Do you prefer to be at home or would you rather not be here at all? Let me know why below! P.S. Feel free to forward this article to other people! You will find the icons for Facebook, Twitter and Linked-in below. Thank you very much! Yes, we have several people who have had great successes losing weight. First of all realize that you need to drink water to flush the toxic matter in your body. Please do not drink any soda, if you can! That will greatly quicken the weight loss. 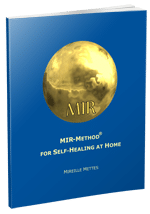 The MIR-Method will help you with the deep emotional issues that are under the obesity. It will take time, probably months, but give your body the time to adjust and to lose the weight. Dear Mireille, Thank you for your method. It has helped me so much at different periods of my life since 2 years. I have passed it on to many people, in particular to one of my sister-in-law who is surviving pancreas cancer. 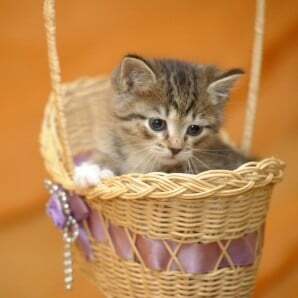 When she could not eat anything at the beginning, using your method has helped her to start eating again. I believe your are a messenger from God / Universe on this Earth. We are from Québec, Canada. Thank you for your email! I am in awe about what you write! Goose bumps! Will you please give my kind regards to your sister-in-law? I hope it can give her furthermore enlightenment! So nice to hear you are from Canada! There’s lots of good memories in the Netherlands about the Canadians ending the second World War. Still, after so many years! Greetings and thank you for sharing this with me! Thank you for this self healing technique , I have studied numerous techniques and I have found out that the simple ones are the most effective. Up to press this this is the most efficient and effective self healing technique I have come across. Thank you very much for your recognition of my work! It was quite scary at first to set it free, because of its simplicity. Was afraid people would not understand, but luckily people like you and many others here on the website did do their explorations in the way the subconscious heals and can recognise it. Hope it brings you much good! thank you Mireille for your ongoing support. So wonderful to hear that! And you are in Australia! How great that I could reach you through the internet. We are definitely living in a wonderful age of contact throughout the whole world! Hope the MIR-Method brings you much good! Thank you for your response! Nice to hear you’re from the USA! Thanks for your kind words about the newsletters. It is a good encouragement to keep on writing! Hope the MIR-Method brings you and your family much much good! Thank you for this very educational extremely interesting article. Also wish to let you know I live in Royse City, Texas, U.S.A. I am interested in knowing if you have classes for becoming an MIR-Method Practicioner on -line? Yes, I am working on English video course to teach many more people how to use the MIR-Method in their practice. Hope it will be ready end of this summer.